Tim is a founding partner of GMT. He joined BCEL in 1993 and has 25 years of private equity investment experience, initially focused on early-stage high technology financings and more recently on the Communications Industry. He spent three years with Baring Private Equity Partners, originally as group finance director and subsequently as an investment partner. 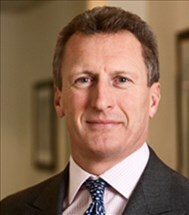 He is a former manager of KPMG London, focusing on acquisition due diligence and traditional audit assignments. He is a qualified Chartered Accountant, holds an MSc in Management from the Sloan Fellowship Masters Programme at the London Business School and studied accountancy at Bristol Polytechnic.